In 2008 Cancer Council Queensland engaged RCP to undertake the Project Management for the $7m, 20-bed Palliative Care Hospice Project. At this time the project was fully documented ready for tender. The building is located in the grounds of Townsville Hospital and consists of four wings radiating from a central core with reception and dining facilities, administration and training areas and a spiritual room. An elevated bridge link has also been constructed to provide an aerial connection to the existing hospital. The site takes advantage of a natural creek side setting with scenic views of Mt Stuart however its location posed some challenging access and service issues during the construction phase. 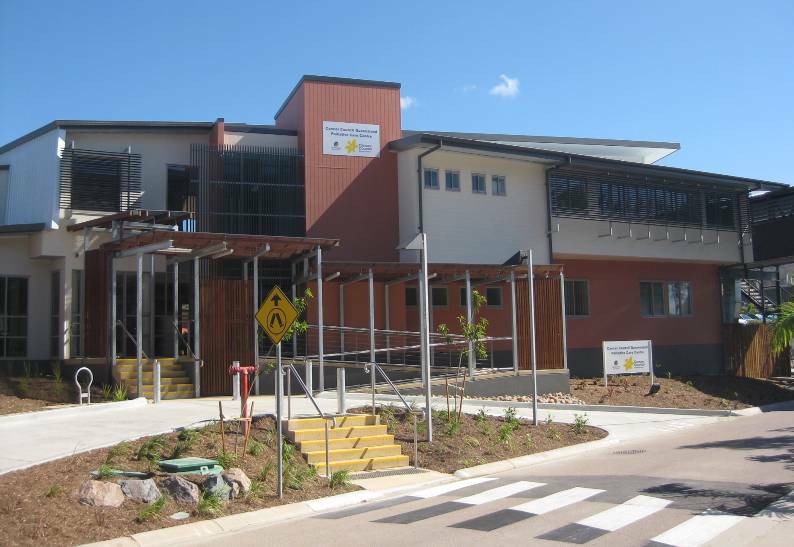 Queensland Health took possession of the building following the contracted works to fit-out and furnish the facility and it was opened for patients in October 2009. The construction phase was completed within programme and budget.